The Sustainable Development Festival is a nation-wide initiative which mobilises all sectors of Italian society, launched by the Italian Alliance for Sustainable Development every year since 2017 to promote and spread a culture of sustainability. The Festival takes place across the country every year in late May, and spans over the course of 17 days, the same number as the SDGs. The first edition in 2017 was a great success, featuring over 200 events, topped by the 2018 one, wich saw over 700 events, with a 2019 edition in the works for May 2019. This nation-wide experience is possible thanks to the contribution of all members of Italian society: institutions, business, private citizens, are called to mobilize and organize their own initiatives; all are brought together by the SDGs and the desire to transform the country. Among these, special initiatives were carried on by the SerieA football league in each stadium during the last matches of the season before an audience of millions, and several popular museums, such as the MAXXI in Rome and the Peggy Guggenheim in Venice, who linked their exhibits to the SDGs. The Festival is coordinated by the ASviS Secretariat, who is responsible of coordinating activities and organizing several major events which focus on a single aspect of the 2030 Agenda, with the support of its partners. This unprecedented mobilization allows a variety of initiatives, which in turn attract the attention of different segments of society, business, media, institutions and the pubblic through conventions, debates, book presentations, exhibitions, film reviews, guided tours, flashmobs. The primary objective of the Festival is to raise awareness and to mobilize the pubblic to take action on the 2030 Agenda. The 2018 edition has been even more successful than the previous one: thousands of people participated in the events, the websites were visited over half a million times and the social media pages of the Alliance reached tens of million users. The growing number of events, and the increased participation over the years means that the Festival is spreading the culture of sustainability to a growing number of Italians, and that it is a pivotal initiative to help propel the country to the achievement of the SDGs. 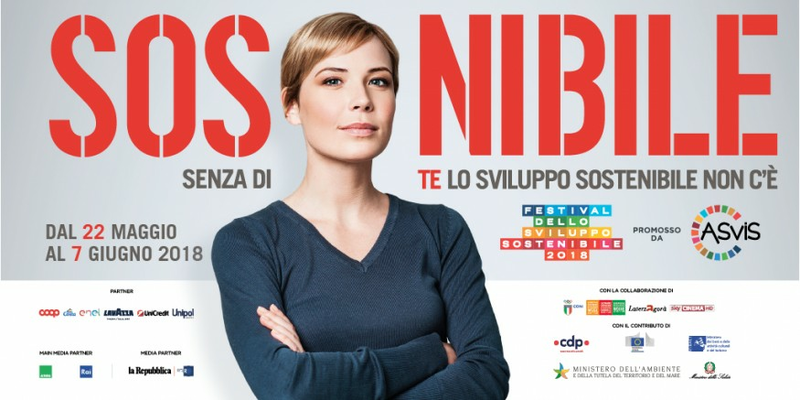 The Festival works thanks to the efforts of the Secretariat of the Italian Alliance for Sustainable Development, whose tasks include the definition of the criteria for admission to the Festival, the creation and maintenance of the dedicated website, which offers an overview of all events categorized by either location or relevant SDGs, the launch of social media campaigns, engagement with the press at the national level, the coordination with the partners of the Festival and the events' organizers. In 2018 the Secretariat contributed to organize 15 major events, and was exclusively responsible for organizing the opening, middle and closing events.